That was part of Paul Bragiel’s self-introduction, with a can of beer and hair slicked back into a bun, in an intimate meeting room before a group of Cambodian tech players. Dubbed the ‘Silicon Valley Investor Round Table’, Geeks in Cambodia had the privilege of attending this invite-only event organised by Impact Hub in conjunction with Bragiel’s 3-day trip to the Kingdom. 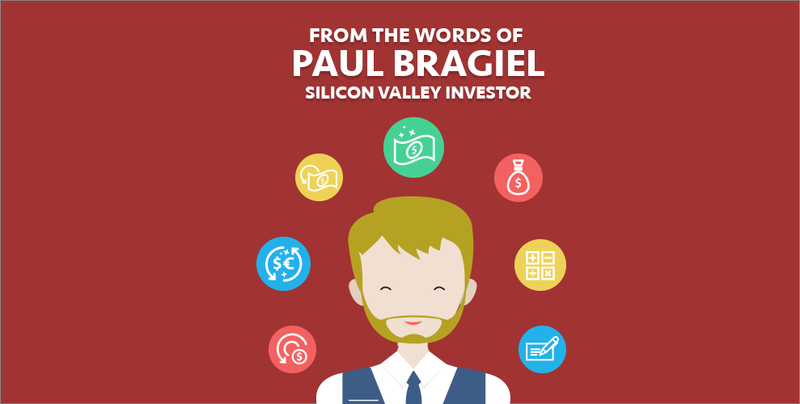 So who exactly is Paul Bragiel? It’s just as he introduced – he’s a serial start-up founder of four companies, some successful, some not so much. But that did not stop him from staying vested in the tech startup scene. In fact, he capitalized on his experience as an entrepreneur, went into investments and created venture capital funds. Presently, he has invested and advised over a hundred companies, including big names like Unity, Zappos and Uber. In addition, in late 2011, Bragiel, along with Vinnie Lauria and Jeffrey Paine, started the Golden Gate Ventures, an early-stage venture capital firm investing in early-stage startups across Southeast Asia. To date, the firm has invested in 30 companies across 7 countries. This belief he had is what led him to travel around the world, giving lectures on startups and serving as an advisor to governments on tech and entrepreneurship policy including in nations like Singapore, Estonia and Columbia. It is also what led him to Cambodia. The main purpose of his trip here to help boost the promising momentum of Cambodia’s budding tech sector by meeting key ecosystem stakeholders, sharing his global perspectives to assist Cambodia in reaching its tech potential. And that was exactly what went down at this investor roundtable. Impact Hub rounded up various around 20 founders and startups to have an open discussion with Bragiel so that he could understand more about the startup scene in Cambodia, and local entrepreneurs can receive words of advice from an international investor. Invited guests included BookMeBus’ Langda Chea, Cambodians in Tech CEO, Maya Gillis-Chapman and Coding Gate. That was the first advice that Bragiel dished out in the discussion when the topic of attracting local investors came up. To him, building a relationship with the investor is what solidifies an investment. Investors are more willing to write cheques to a person they can trust, so one shouldn’t expect to clinch an investment in the first meeting. He suggests bringing them out for beers and meals to really get to know them and for them to get to know you. In fact, he compares it to dating. In addition, if the investor remains hesitant, it would be good to show local investors case studies of what worked around the world to showcase the potential of your startup. Everyone is scared to lose out. Play into that and entice them with the fact that if they chose to invest in you, they could be a part of the budding success too. Bragiel also highlights that yes, investors are important for funding, but they should prove to be good investors for your startup as well. Ask them for introductions into their circle of investors, or connections to others that would be beneficial for you. Investors are not just a means for funding, but are a way to build your network and possibly, meet future investors. But the relationship building doesn’t stop when investments are made. He stresses that it is always important to keep investors in the loop of developments. Simply checking in once every six months is not enough. Bragiel shares that by constantly having meet ups with investors and being transparent with the ups and downs of the company, his investors never fail to put in more when his startups hit a wall and resources started to drain out. Going further into his point on relationships, he elaborates that relationship building is not only important when attracting investors, but also when attracting employees to stick by your company. Bragiel expresses that there are two ways to build relationships that empower your employees to stay – communication and delegation. Always communicate a good vision that your team can look towards, and let them in on what’s happening in your company. Communication between employees themselves is important as well to create a team dynamic, so Bragiel suggests regular outings and lunches with everyone. Aside from communication, delegation of tasks to employees is also crucial. As founders, you have the ability to give them power and hold them accountable for the work you have tasked them with. By doing so, it shows that you have placed your trust in them, and most would usually rise to the occasion and stay by the company even when the going gets rough. With the recent Cambodian startup, Khmerload, receiving investment from Silicon Valleys’ 500Startup, many of founders present at this session were also curious as to what would attract foreign investors to Cambodia’s scene. Bragiel’s advice? No one is out of reach when there is social media. Cold emails and phone calls are common tactics that successful entrepreneurs have used and are still using, so don’t be afraid to reach out. But before you do so, it is important to have a regional plan for your startup. With that analogy, he explains that what speaks volumes to investors is growth – they want to see their investments double or triple in value. By pitching that your startup has potential to expand out of Cambodia, it proves that it is scalable and would bring in returns. Throughout the two-hour session, various topics were discussed, with local founders trading their knowledge and problems faced in the Cambodian market with Bragiel’s global perspective and advice. It is without a doubt that everyone came out with fresh perspectives and new information. “(I learnt) from his experience and how he solved his problems. And I think it is really beneficial for me. I’m thinking about whether his solutions would also work for my situation as well,” says Langda Chea, CEO of BookMeBus. Similarly, Maya Gilliss-Chapman, CEO of Cambodians in Tech, feels that such round tables should become more regular in the scene. Geeks in Cambodia couldn’t agree more, and certainly came out enlightened by what was shared. Definitely, it will be great to see more of such laid back but enriching round tables where everyone is given a fair chance to learn from the experiences of others.